Best Premium HTML5 Hosting Templates include Responsive WHMCS Templates & WordPress Whmcs Themes. most of these Whmcs Template are made exclusively for web hosting company and Dedicated server providers as well as domain name registrars. All Template listed below are premium Template with outstanding quality and pixel perfect design. Web Hosting is one of the fastest growing Business. This time I won’t get too much into business side but more in design side, so here are the list of the best web hosting Template. contacted as directly to let us know that all Our Template are updated and should fix all issues that users reported such as problems, initial setup, browser support, and much more. We also points out that they have created Well Documented guide you through initial setup and WHMCS template customization process. 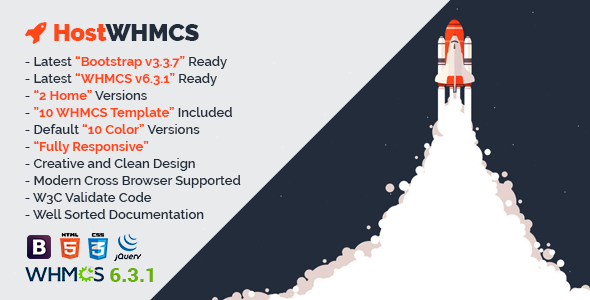 HostWHMCS is a Flat and well developed professionally diagrammatically designed and extremely engaging and relatable, user and developer friendly, retina ready and wonderfully responsive web hosting, WHMCS web site template. Latest Bootstrap v3.3.7 Ready, WHMCS 6.3.1 Ready, WHMCS Template Included, 2 Homepage Version, Total 10 WHMCS Templates with 10 Different Color Version, Retina Ready, 10 Default Color with Color Switcher, Clean Design, Fully Responsive, Working Contact Form Integrated With Validetor and PHP, Mailchimp Integrated With Validetor, Twitter API Integrated, Modern Cross Browser Support, W3C Validate Code. EcoHosting could be a delightfully modern, advanced Eco technology, clean and complex Premium Hosting template include WHMCS Responsive template, designed and created with the particular wants of green hosting, Eco Hosting business agencies in mind. EcoHosting including 3 totally different Homepage Version and a Well Documented Documentation. Browsers support with IE9, IE10, IE11, Firefox, Safari, Opera, Chrome, Edge. 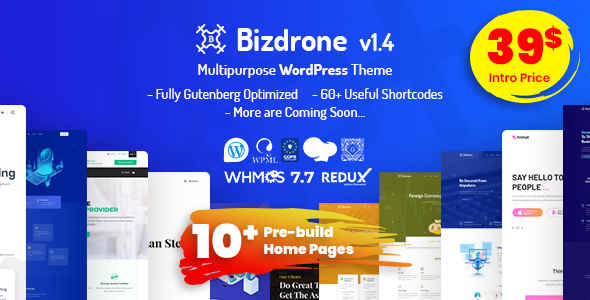 OrDomain is an elegant and simple, aesthetically uncluttered and polished, pure and pristine, useful and powerful, trendy and smartly coded, efficient and fast-loading, simple to use and improbably intuitive, partaking and attractive, youthful and lively responsive Premium Hosting Template include WHMCS Template Integration. lilyHost is a Responsive HTML5 Hosting WHMCS Template designed for All kinds of Hosting and Domain Business. It’s an HTML5 template based on latest Bootstrap 3.3.6 with Latest “WHMCS 6.3.1” Ready (WHMCS Template Included). Anyone can easily update/edit this template to follow our Well Sorted Documentation. Latest Bootstrap v3.3.6 Ready, Latest “WHMCS 6.3.1” Ready, WHMCS Template Included, Total 34 HTML Files, Total 2 Different Versions, Total 2 Different Menu Style, Modern and Clean Design, Fullscreen Image slider, Fully Responsive, Contact Form Integrated With Validator, Mailchimp Integrated With Validator, Modern Cross Browser Supported, W3C Validate Code. BulkDomain is a Responsive HTML5 WHMCS Hosting Template designed for All kinds of Domain and Hosting Business. It’s an HTML template based on latest Bootstrap 3.3.6. Also included WHMCS Template based on WHMCS 6.3.1. Anyone can easily update/edit this template to follow our Well Sorted Documentation. Latest Bootstrap v3.3.6 Ready, WHMCS 6.3.1 Ready, WHMCS Template Included, Total 10 WHMCS Templates with 10 Different Color Version, Retina Ready, Total 20 HTML Files, 10 Default Color with Color Switcher, Modern and Clean Design, Fully Responsive, Working Contact Form Integrated With Validator, Mailchimp Integrated With Validator, Twitter API Integrated, Modern Cross Browser Support, W3C Validate Code. 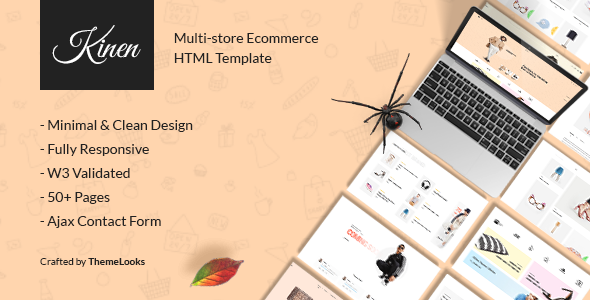 MatRoz is a Material Design Agency, Business, Technology, Hosting with WHMCS Template designed for All kinds of Business like Creative Agency, Tech Company, Hosting Company, etc. It’s an HTML template based on Material Design Lite, latest Bootstrap 3.3.6. and WHMCS 6.3.1. Anyone can easily update/edit this template to follow our Well Sorted Documentation. 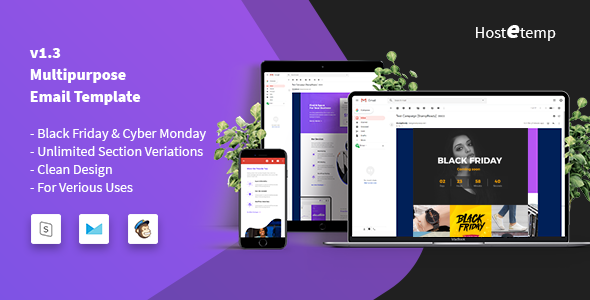 Based on Material Design Lite, Latest Bootstrap v3.3.6 Ready, Latest WHMCS 6.3.1 Ready, WHMCS Template Included, Google Material Style, Creative, Modern and Clean Design, Default 5 Google Material Color with Color Switcher, Fullscreen Youtube Background Slider Video, Fullscreen Image Slider Background, Fully (100%) Responsive, Contact Form Integrated With Validetor, Mailchimp Integrated With Validetor, Twitter API Integrated, Flickr API Integrated, Modern Cross Browser Supported, W3C Validate Code. Cyber Monday Web Hosting Deals 2018 !!! Black Friday Hosting Deals promo 2018 !! !